“Lynne is the most driven & energetic person I’ve met and she has assisted me..
Lynne has been a member of Dallas HR for over eleven years and during that time was an eight year member of the Education Committee for HR Southwest. 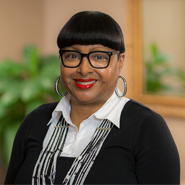 She currently holds a position on the Board of Directors of Dallas HR and is president elect for 2015, and founding board member of Women with Promise. Lynne was selected as the 2008 Enterprising Woman of the Year by Enterprising Women Magazine and nominated for Addison Woman of the year 2012. Lynne is most proud of the recognition of SUPERIORHIRE by Inavero as a Best of StaffingTM Client award winner for 5 consecutive years. The award presented in partnership with CareerBuilder, provides the only statistically valid, objective, service quality benchmark in the staffing industry and honors firms that deliver exceptional client service. “We could not have achieved this award without the great team assembled here at SUPERIORHIRE. The company has also been ranked in the top 65 Women owned companies in Dallas by the Dallas Business Journal for the past five years. 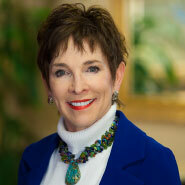 Lynne is a graduate of Texas Tech University. In 2003 along with wife and business partner Lynne Stewart the concept of a full-service staffing and recruiting company took shape and very soon that year Superior Search & Staffing came into operation. After nine years in business the company was renamed and rebranded; SUPERIORHIRE. My most proud accomplishment of the company is being named to Inavero’s Best of StaffingTM client list of award winners for 5 consecutive years. The award presented in partnership with CareerBuilder, provides the only statistically valid, objective, service quality benchmark in the staffing industry and honors firms that deliver exceptional client service. When we started SUPERIORHIRE, we never wanted to be the largest recruiting and staffing company in the market, ‘we wanted to be known as the best’ at helping our clients find the talent they needed to grow and expand their companies. After two recessions the company continues to thrive and grow and service most of the clients we started with back in 2003 and many more. In 2014 the company expanded into Executive Recruiting in the Finance and Accounting space with the addition of two full time Executive Recruiters. After graduating from Texas A&M University in 1978 with a B.S. in Marketing and Economics, Cliff began a ten- year career in the cosmetic industry and opened sales territories for Halston Fragrances, Aramis, and Orlane Cosmetics. Lessons learned in the high end cosmetic industry helped to shape and formulate many of the service and support deliverables that SUPERIORHIRE is known for. 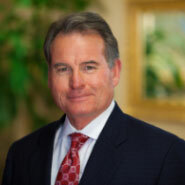 Cliff then helped to develop several successful community-banking commercial and retail loan products for Banking Solutions, Inc; including FundsXpress, the first internet banking product for community banks and the highly successful and profitable CashFlow Manager product. Cliff lives in Dallas, Texas with his wife, Lynne and their two cats and they enjoy traveling to get away and recharge themselves for more business development. 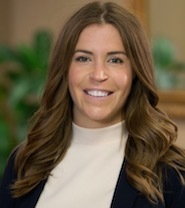 The enjoyment of meeting new clients, working closely with them to achieve their growth plans, and feeling a part of their success has lead Cassidy to SUPERIORHIRE. As a graduate with degrees in International Development and Spanish from the University of North Texas; Cassidy starts her career working with local governmental agencies and businesses and their need for disaster relief planning. But the challenges of today’s competitive marketplace and limited talent pool lead Cassidy to the businesses of recruiting for talented employees instead. Serving on the board of DallasHR for two years she has become closely aligned with HR Directors and top level executives who appreciate the challenge of locating and sourcing talented employees. The one common principle she has learned from her mentors is that every successful business owner is always looking for employees that can move their companies forward. Cassidy is currently the Co-Chair of The Ambassadors Committee and also a member of the Member Engagement Committee. Cassidy’s close relationship with her Grand Father who was a pilot for Braniff Airlines and a mathematician molded her desire to embrace statistics and their relationship to successful business transactions. Coupled with her mother’s unbelievable determination to be a success as a Registered Nurse, a Veterinarian and a rancher in North Texas has given Cassidy a fearless ambition to take on new and different challenges. She is comfortable speaking with executive level decision makers, combining technology to stay in touch and years of sales experience are all part of the equation critical to successful placements. Cassidy was born in Mexico, has run the White Rock Marathon, volunteers at the VA Hospital in Dallas and a desire to travel internationally has led her to completely fill one passport. You can rest assured that your paycheck will be correct and that your invoices will..
You can rest assured that your paycheck will be correct and that your invoices will be accurate and timely because Beth Feagins’ attention to detail will ensure it. Beth has been managing the accounting, bookkeeping and payroll functions for SUPERIORHIRE since 2007 when she joined the company on a project basis. Beth has developed a vast knowledge of self taught knowledge of accounting; honed with strong leadership and mentorship by very influential accounting professionals in her life. Payroll and invoicing is done in-house with our own system and that ensures that any errors and issues with your paycheck can be instantly corrected. Even though accounting and numbers is a passion of hers, raising her three children is what drives Beth. She is closely involved with the schools they attend in Lewisville and the church they all attend faithfully. She is an avid Bunco player and really enjoys playing cards and dominos with her children and her group of Bunco players who have been together for nineteen years. She lives in Lewisville. Her previous fifteen years of working in various Human Resource capacities has prepared her for her role as.. Her previous fifteen years of working in various Human Resource capacities has prepared her for her role as the Candidate-Coordinator for SUPERIORHIRE. Terri says that “being the first person to greet most people who come to our agency and usually the last person to tell you good bye and thank you for coming in, I have the best seat in the house.” Terri is very proud of her heritage and of a few of the “Trailblazers” in the family; her uncle Charles became the first black judge in the state of Oklahoma, and her father was one of the first black postmen in Tulsa. Being a great cook of classic southern soul food is much like being in this position, you have to put a lot of heart and soul into this position to get the right result. You’re dealing with people’s lives and careers, and many have never used a recruiter before, so they can be a little shy and feel uncomfortable about talking about themselves. Terri gets to set the tone for their visit here; they need encouragement and a lot of love to know that they are in good hands with us and to be open to being coached and guided along their career path. Terri wants every candidate that comes to our office to leave feeling better about themselves and their possibilities for their next career move. She enjoys watching old classic movies, dancing, and sets the standard in our office with very stylish fashion. 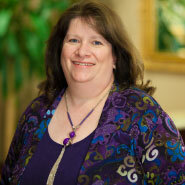 Originally from Oklahoma, Terri has lived and worked in Dallas for the last thirty years. Terri believes in Devine Reciprocity and The Golden Rule, both of which have served her well.